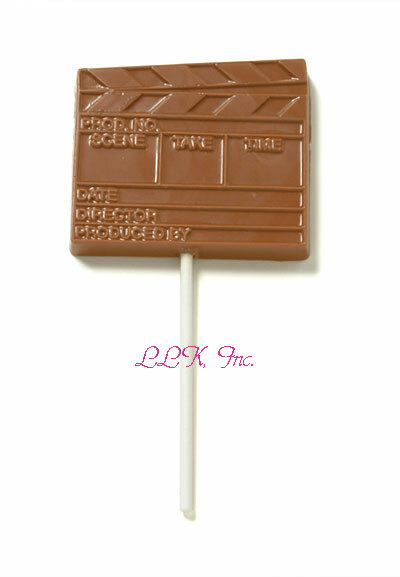 Cute little chocolates with movie making themes. Approx. 1 - 1.5 inches ea. Available in clear 2 x 2 x 1/5 gift boxes or favor bags in clear poly with ribbon or bulk boxed (approx 45 pcs./lb) so you can make your own favors, dessert trays, cupcakes, etc. Available in plain or gold dusted. 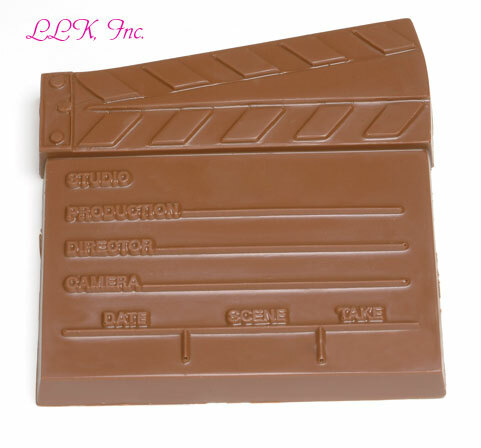 8 ounces, very large piece of chocolate with nice detail. 5 x 5.5". Poly bag, tied with ribbon. May be personalized for an additional charge of 3.00. 1.5 ounce, poly bag, tied with ribbon. 1 ounce, poly bag, tied with ribbon. May be personalized with up to 6 letters for 2.00. 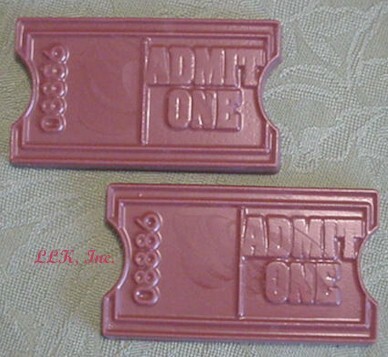 Chocolate Movie Ticket & Golden Ticket ea. 1.2 ounces, poly bag, tied with ribbon or gift boxed with stretch ribbon. 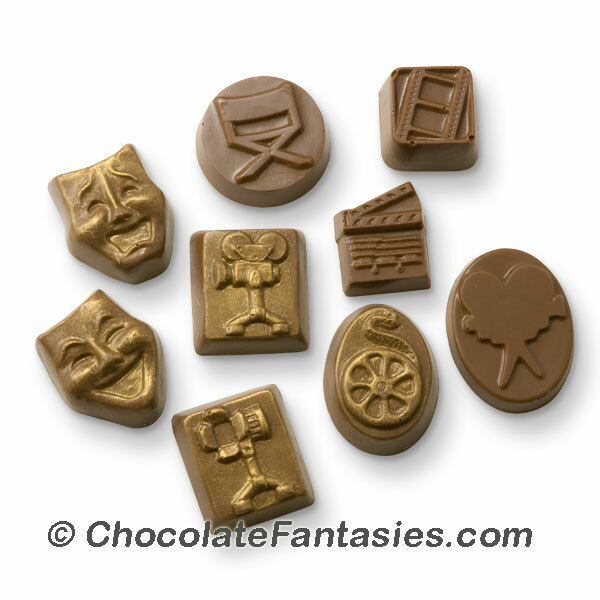 Golden ticket is chocolate dusted with elegant edible gold powder. 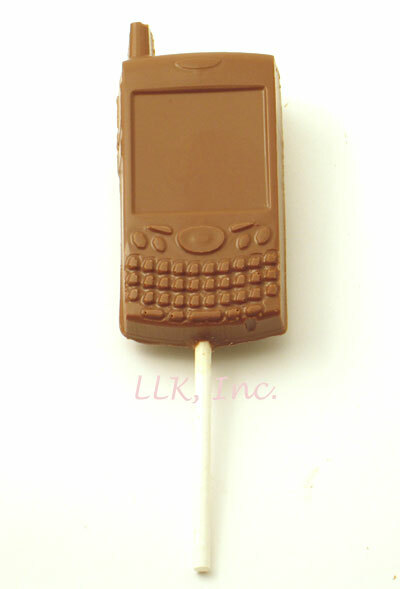 Chocolate Mobile Flip Phone - $3.00 ea. 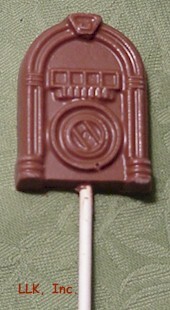 Chocolate Cordless Handset Phone - $5.70 ea. 2.8 ounces, poly bag, tied with ribbon. Can also be an old style mobile phone. 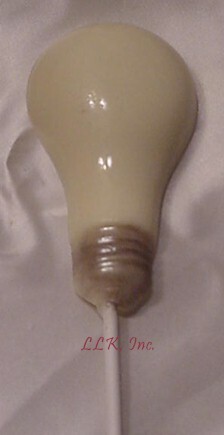 Light Bulb Lollipop - $3.50 ea. For those with bright ideas! 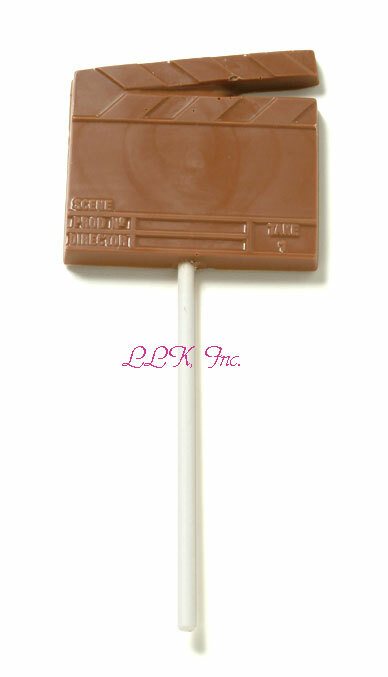 Juke Box-Radio Lollipop - $2.75 ea. 3.7 ounces, in white window box, tied with stretch ribbon.